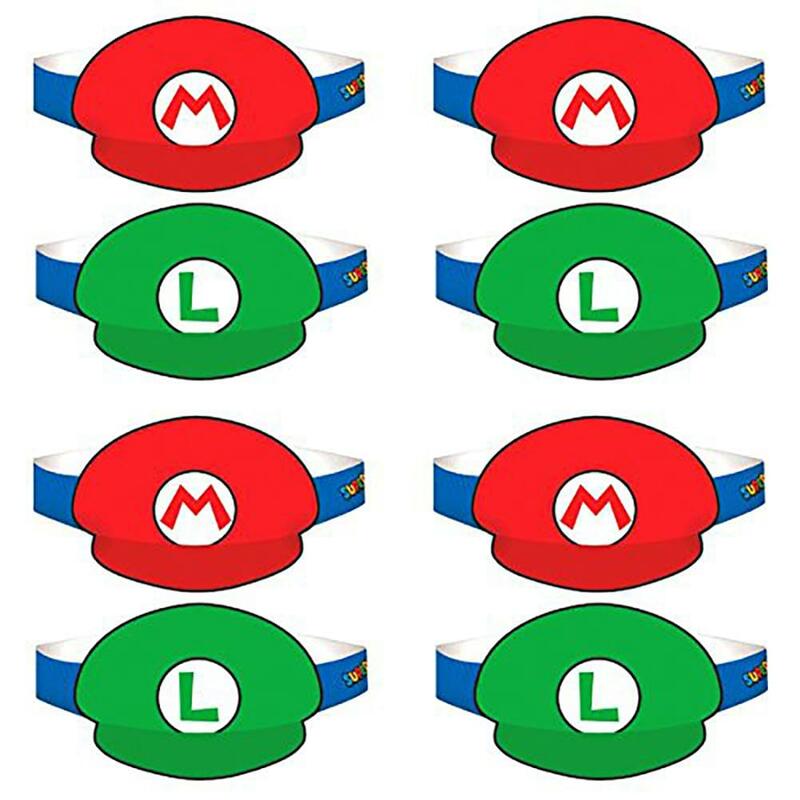 Let the kids channel their inner marios and Luigi with these brilliant Super Mario brothers paper hats. Featuring bands with newsboy hat cutouts in red and green, these is a fun twist to the traditional party cone hats. Kids will surely have fun in your Mario-themed event.